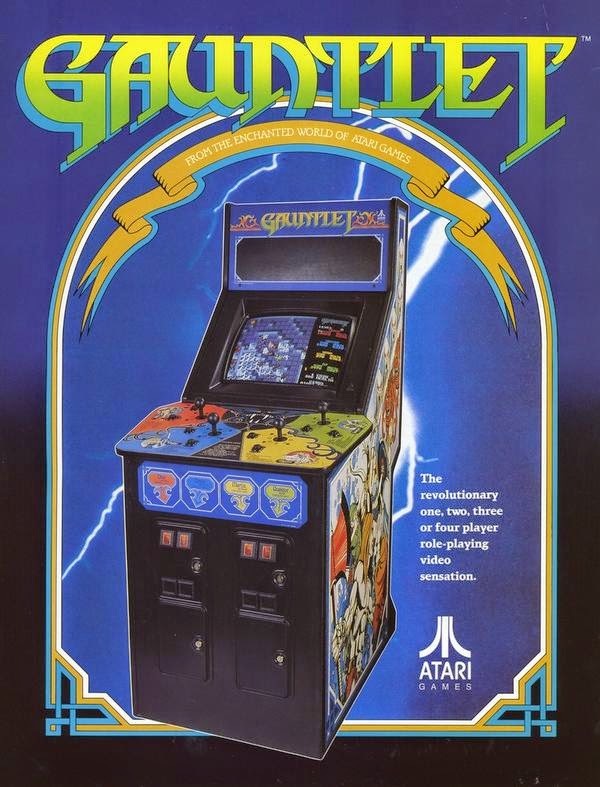 When you hear the name Gauntlet, and you're around my age, it might instill a sense of nostalgia - of the original arcade game that sucked quarters out of you faster than Takeru Kobayashi can stuff hotdogs into his face. WB Games released a 2014 re-envisioning of the original made by the good folks at Arrowhead Game Studios. As someone who had played the original (and the sequel) quite heavily as a kid, I had mixed feelings about there being a remake. Until I saw the trailer, that is. Without haste I ordered a copy day-and-date, and got it installed. I was quite excited to dive deep into the familiar dungeons, with my favorite crew of dungeon-crawling misfits, wanting to see if it could properly represent the original game. The original Gauntlet was not easy. As the name implies, you run through a gauntlet of things looking to kill you. With food to heal your wounds being very sparse, but gold being plentiful - it keeps up the sense of urgency to finish that level. Because if you don't, you lose all that wonderful loot you fought so hard for. They also have the crown. I also like to refer to it as the 'how to make your friends hate you' crown. It is a random spawn, you kill a mob and it drops the crown. If you are wearing it at the end of the level, you get a healthy bonus. The 'how to make your friends hate you' part? Well, if you are wearing the crown and you get hit, you drop it. And someone else can grab it. And the other way around. This turns the greediest players into self-preservationists. And you start to hate them for it. Doing what they can to not get hit, sometimes getting you surrounded by baddies as a result. Oh and you can shoot the food. Interesting mechanic to be sure. You can shoot the food and the relic potions, and interestingly enough, some of the mobs will also destroy your food. Usually when you really need it. I was surprised when I first saw an archer take aim at that delicious turkey that I was running towards, only to shoot and destroy it mere inches before my character could grab it. Overall the game plays well, handles much like the original, and has lots of variety to keep you interested. Matchmaking: Now, matchmaking systems are only good if you have people online and willing to suffer public games. I can't imagine Gauntlet being so hugely popular that there is a never-ending queue of players waiting to get into a public game. So sometimes you have to wait. Or the game just spits you out because no one is available. And also, if you want to try public matches on some of the lower difficulties... best of luck. Upgrade system: The 'upgrade system' is a term best used loosely. You get relics, which can be triggered if you acquire potions in a match. That's all fine and well. The relics can be upgraded a few times also. This is pretty good. The right relic on the right character can make a huge difference. But some of the relics are pretty pointless. But that's not the bad part. The part I don't like is the armor 'upgrades'. They are purely cosmetic. Want a better weapon? A new tunic? Maybe a new hat? Well, beat 'x' level on 'y' difficulty and pay 'some amount' of gold and you get your upgrade. Which does nothing but look neat. Unless you're the warrior. His weapons and armor look terrible. Single player: Soloing in Gauntlet is not impossible, but very, VERY difficult. This game really is meant to play with others. But, in the same spirit of the original, it also wasn't really meant for soloing either. Sure, you can grind dungeons for gold to get a few upgrades and some 'mastery' ranks... but it's a total slog. 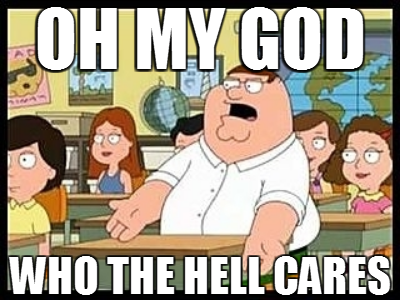 I hope I didn't sound too harsh about the game. It's actually quite fun. It brings back a strong sense of nostalgia for the original game, is a lot of fun when you are playing with friends, and the varying difficulty gets you a lot of future replays. To top it off, the soundtrack is good, the gameplay is very solid, and the developer fixes any bugs/make game updates quickly and frequently, all good things. The price point is a bit steep, I would consider this a $14.99 game rather than $19.99, but that's the "thrifty" side of me talking. If you're looking for something fun to play and have some spare cash, I' d say grab it. The public matches are pretty good, and if you have friends that already own it, even better. If you're short on cash or not 100% sure if you'd enjoy it, wait for a Steam sale. It'll likely go on for $15 or less for the Steam Winter Sale. This week we discuss the often speculated "second fall of the Video Game Industry" - why would it happen? What could be done to possibly fix it? Are people worried over nothing? We discuss the ever-fading interest in Virtual Reality, and wonder why 'Gamer' is such a bad word nowadays. Dan also tells us all about his corgi, and corgi-related things. Mostly because corgis are awesome. For our previous podcast, we did a special "Viscera Cleanup Edition"... and in carrying on with that theme, this weeks podcast is a special "Fist of Awesome" Edition! Watch the beautiful union of beards, bears, fists... wait, this is starting to sound wrong... um... video games!! But seriously, we dropped in about 30 minutes of gameplay from Fist of Awesome, a side-scrolling beat-em-up, where you're a burly-lumberjack-man-guy who punches forest animals because they set his house on fire. So if you're interested in seeing some footage from Fist of Awesome, or just wanna listen to us discuss ZoeGate - check out episode 28! We sit down and have a rational and unbiased discussion about the Zoe Quinn drama that has arrived to the internet. What is it all about? Who is right or wrong? Should anyone even care about this? Also, Dan plays with his Skylanders, Brian feels the sting of Spelunky, and Nelson unleashes his bearded fist of fury against grizzly bears. In order to do things a little different, or to keep things fresh - Nelson put together a special edition video for the podcast! Now you can listen to Dan, Brian, and Nelson drone on about all things gaming, while enjoying the aftermath of an absolute gorefest! In this episode of The Backspace we lament on "Dead Franchises" and which franchises of games we would love to see brought back, and a few that should stay dead. Dan spreads monkey-ape-plagues, Brian bashes alien skull, and Nelson has some PTSD about balls of yarn. Frustration sets in as Danny Jay tries to figure out the baffling world of Wildstar with housing, fed-ex quests and a needlessly complicated level advancement system. It seems that Wildstar is filled with elements of clickbait, and "Sims-like" tasks to keep their users engaged in the MMO world. The world itself is interesting enough, and exploration can be rewarding especially if you're the type of person to 'stop and smell the roses'. 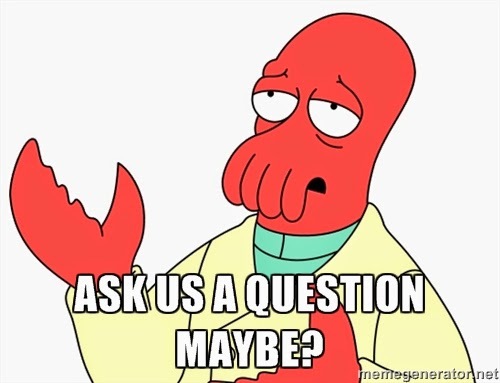 Wildstar is lacking in a few departments, mostly due to lack of user adoption, so the world feels kind of lonely, also a lot of quests leave you to figure things out on your own without any hints or clear indication of how to proceed - which can lead to frustration quite often. 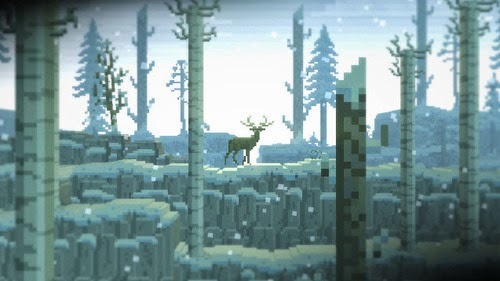 Once again, Kickstarter brings about independent games that otherwise would probably have never seen the light of day. 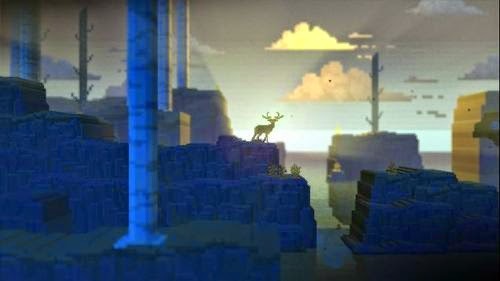 The Deer God is a procedurally generated pixel art platformer, where you play as a stag. The art style is also very reminiscent of Superbrothers: Sword & Sorcery, but also manages to maintain a style unique to itself as well. 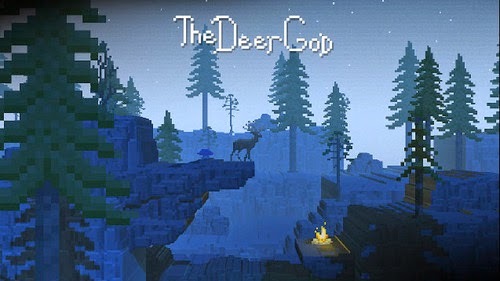 The Deer God is a 3D pixel art game about reincarnation. The hunter becomes the deer, the deer the hunter. Find others like you, discover new areas, avoid wilderness creatures, and search for hidden secrets. Because the game is procedurally generated, it will be a different experience every time you play. 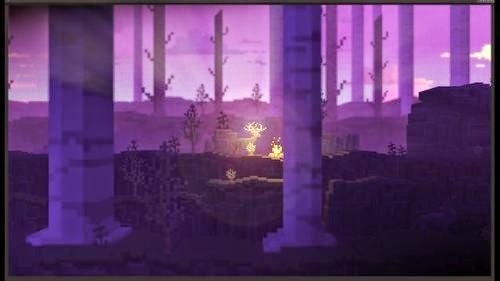 The environment of the game appears to be quite serene at times, landscapes such as glowy forests, quiet caverns, grassy mountain passes, warming sunsets, and wintery climates. The soundtrack also sounds quite good based on first impressions, adding more to the overall ambiance of the game, enhancing your experience. One decision that I found interesting, and actually sort of odd, is the choice to release on OUYA. The game is slated for Wii U and Steam, which are both good choices, but the OUYA is a bit of an odd decision. But based on what I've seen graphically, the OUYA should be able to handle the game well enough. I'm wondering if some seed money came from the OUYA folks to help produce this game. Such a weird word. Ouya. Ooooouyaaaa. The Kickstarter was successfully funded less than a day ago at the time I write this, and it was also successfully Greenlit by the Steam community. So it goes to show that the public is interested, and needless to say, I wouldn't mind checking out this game when it's released. 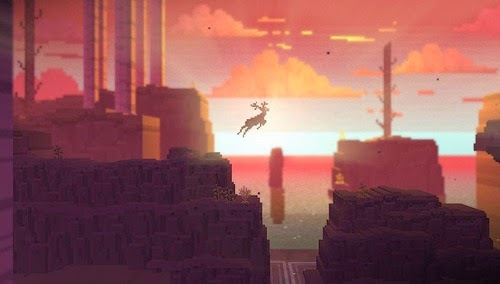 It's nice to see some pretty interesting games on the horizon, and I'm certain that this won't be the last "Interesting Indie" that we'll be seeing this year.